I'm still not sure whether the Deadpool 2 promos count as trailers, but meh, they're funny! Supergirl is looking to cast a transgender actress to play a trans woman in season 4 - awesome! 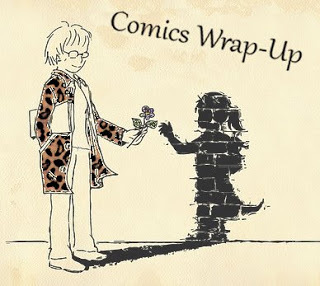 A guest post by Brad Ricca on Book Riot explains what many of us already know - comics books are definitely real books. Eileen Gonzalez, also @ Book Riot, talks about bigotry and problematic content in old and new comics. I've been watching ScreenRant's 'Pitch Meeting' series - basically comedy sketches imagining the pitch meetings for major films. I'm lovin' the Justice League one. Contains spoilers. Wow, great for Supergirl for taking a step in the right direction! One of my favourite shows Grey’s Anatomy recently featured a transgender character and I was so excited when I found out the actor is trans also! I’m really sick of cis people playing trans roles.